Paradise Chyawanprash (Vitality Nectar) is not just your ordinary Chyawanprash. 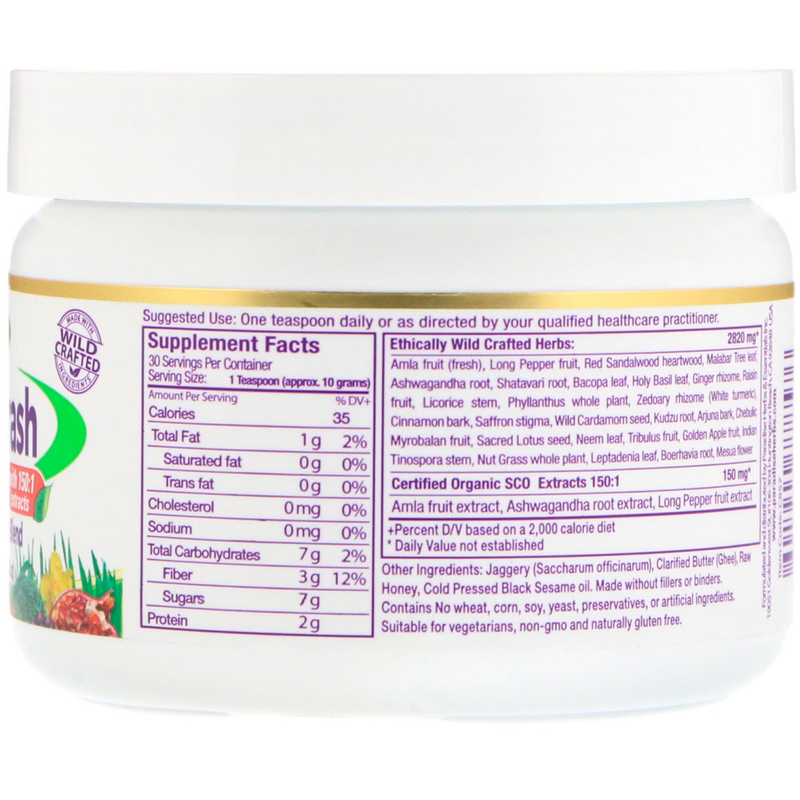 Our Chyawanprash is super infused with extremely powerful extracts of Certified Amla, Ashwagandha and Pippali (Indian Long Pepper). It is formulated with an extra emphasis on using pure ethically wild crafted and clean ingredients. It was designed for year round use and has a balancing and tonifying affect for any constitution. Our Chyawanprash is hand made with the freshest Amla and prepared in the traditional way for maximum therapeutic activity. 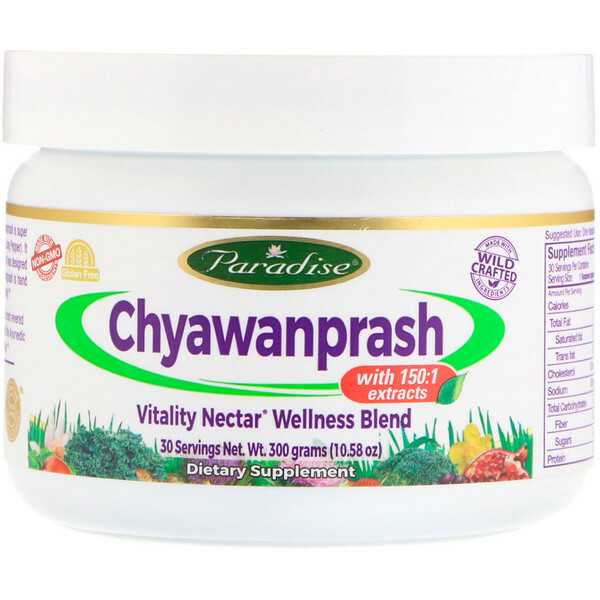 Over thousands of years of wisdom have come to pass in carefully preparing and combining the most revered Ayurvedic herbs in the world to make up Chyawanprash. It is the most widely consumed of all of the Ayurvedic formulas and has been traditionally used for supporting daily energy, wellness and overall vitality. Una cucharadita diaria o según las indicaciones de su profesional de la salud calificado. Jaggery (saccharum officinarum), clarified butter (ghee), raw honey, cold pressed black sesame oil. Made without fillers or binders. Contains no wheat, corn, soy, yeast, preservatives, or artificial ingredients. Suitable for vegetarians, non-gmo and naturally gluten free.